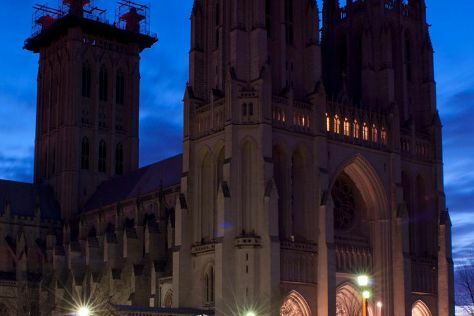 Kick off your visit on the 19th (Fri): admire the masterpieces at National Gallery of Art and then contemplate in the serene atmosphere at Washington National Cathedral. Get ready for a full day of sightseeing on the 20th (Sat): get engrossed in the history at United States Holocaust Memorial Museum, steep yourself in history at Arlington National Cemetery, then get to know the fascinating history of Tomb of the Unknowns, and finally steep yourself in history at Georgetown University. For photos, other places to visit, more things to do, and tourist information, read Washington DC journey maker . In April, daytime highs in Washington DC are 68°F, while nighttime lows are 49°F. Finish your sightseeing early on the 20th (Sat) to allow enough time to travel back home.